5 Beds 3 / 1 Baths 3,446 Sq. ft. Description: Absolutely awesome 5br/3.5ba in azalea trace. Open great room w/ floor to ceiling stone fireplace. Formal dining room and eat-in kitchen. Master suite downstairs with massive walk-in closet. 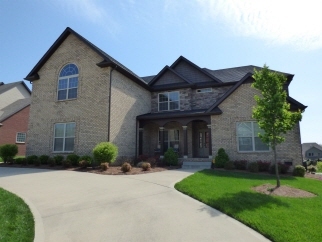 4 br and bonus rooms upstairs plus two full bathrooms and balcony overlooking great room. Covered plus uncovered patio. Aluminum fenced backyard.